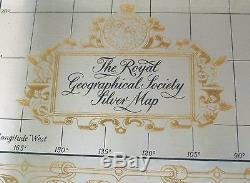 The Royal Geographical Society STERLING Silver World Map The Franklin Mint. 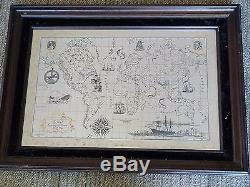 Rare Franklin Mint issues late 70's. 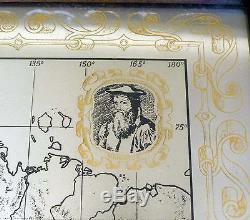 Etched in sterling silver and decorated with 24 carat gold ; 32cm x 50.4cm (Size when framed: 51 x 70 cm). 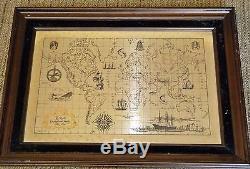 Includes insets of Ptolemy and Mercator. Some photos with flash, some without. Difficult to use flash being silver. No booklet or certificate of authenticity - price reduced accordingly. 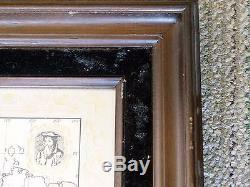 Frame has velvet surround that is currently dusty so will need a clean. 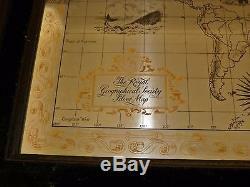 The item "The Royal Geographical Society STERLING Silver World Map The Franklin Mint" is in sale since Wednesday, May 17, 2017. 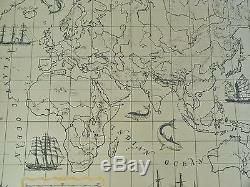 This item is in the category "Collectables\Paper, Postcards\Maps". 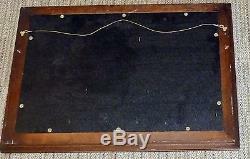 The seller is "e-clearances" and is located in Epping, NSW. This item can be shipped worldwide.